Jewish Argentina - Special Singles 35+ 10/8/09 Departure! Jewish Argentina – Special Singles 35+ 10/8/09 Departure! 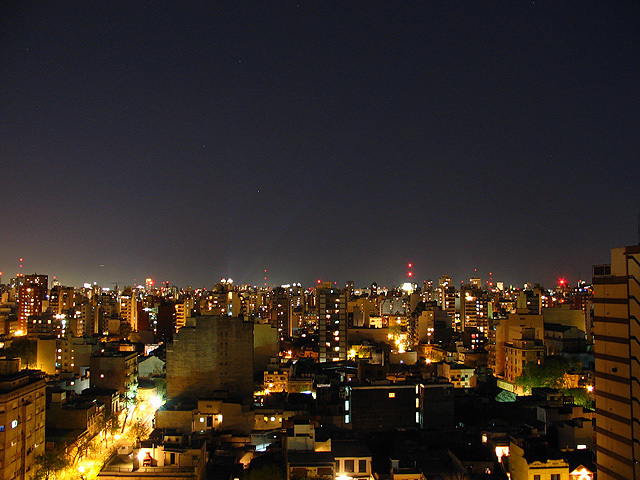 10/8/09 – Thursday: Departure to Buenos Aires, Argentina from your city. 10/9/09 – Friday: The Jewish Argentina All inclusive vacation starts when you arrive to the Ezeiza airport where you will be transported to the Urban Suites Recoleta Hotel. You will then be picked up to enjoy a welcome lunch at a local restaurant. In the afternoon be ready for our famous Recoleta Cemetery Tour, the architecture of Paris in Buenos Aires tour and later you may attend services at the Libertad Temple and partake of a wonderful Shabat dinner. 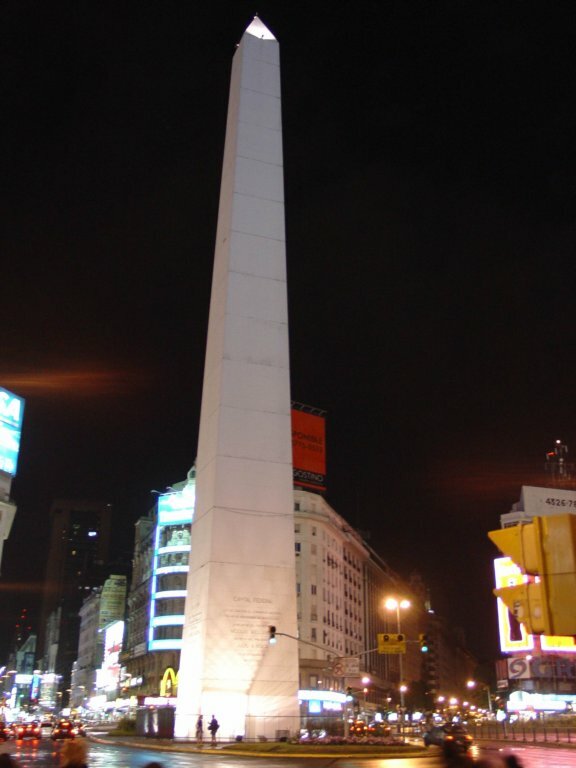 10/10/09 – Saturday: After breakfast, enjoy the exclusive Jewish Buenos Aires tour. 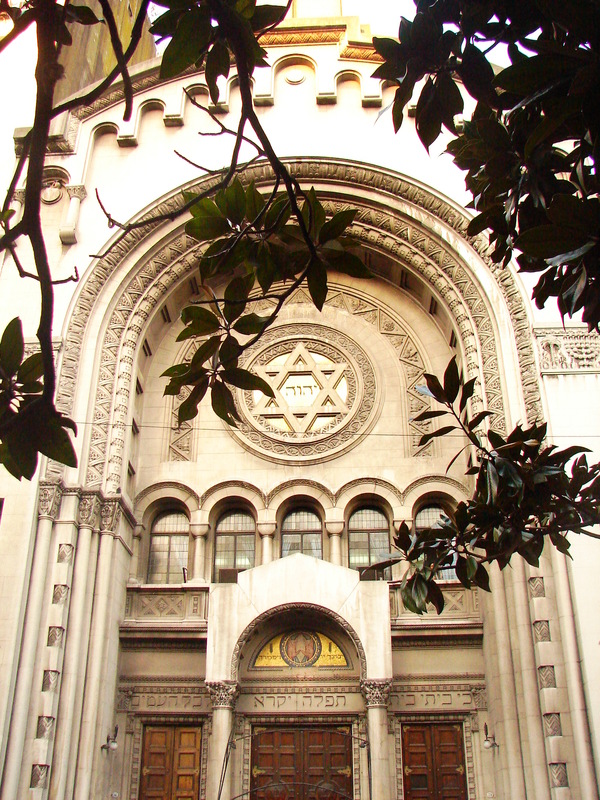 Visit several Jewish Temples while sightseeing Buenos Aires and the site where the Israelite Association bombings took place. In the evening you will enjoy dinner with a Tango show and dance. 10/11/09 – Sunday: Morning breakfast and tour of San Telmo (colonial Spanish neighborhood) where you will be able to shop for wonderful antiques! Then the Onassis route and the Nazis in Buenos Aires tour. Discover how they caught Eichmann and many others! Afternoon shopping tour. 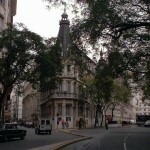 10/12/09 – Monday: Breakfast and afterwards visit Palermo; Barrio Norte, downtown Buenos Aires! Today enjoy the unique All about Evita Tour: Listen to Evita’s voice! 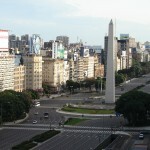 Casa Rosada or Presidential Palace – CGT – the Congress – and Plaza San Martin sightseeing tours. Return to the apartment to get ready for a traditional Argentinean steak dinner at an internationally acclaimed Buenos Aires restaurant. 10/13/09 – Tuesday: Depart on a tour of the famous Mayo Avenue and hear incredible stories. 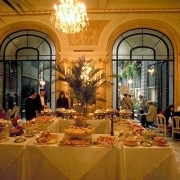 A stop at the Café Tortoni, the oldest bar in Buenos Aires to continue along Corrientes avenue, the Obelisco and the 9 de Julio avenue, the widest avenue in the world. Lunch at Puerto Madero followed by more astounding Buenos Aires history. For dinner, the famous pizza and pasta of Buenos Aires followed by drinks at a local pub. 10/14/09 – Wednesday: Morning available for personally chosen activities. 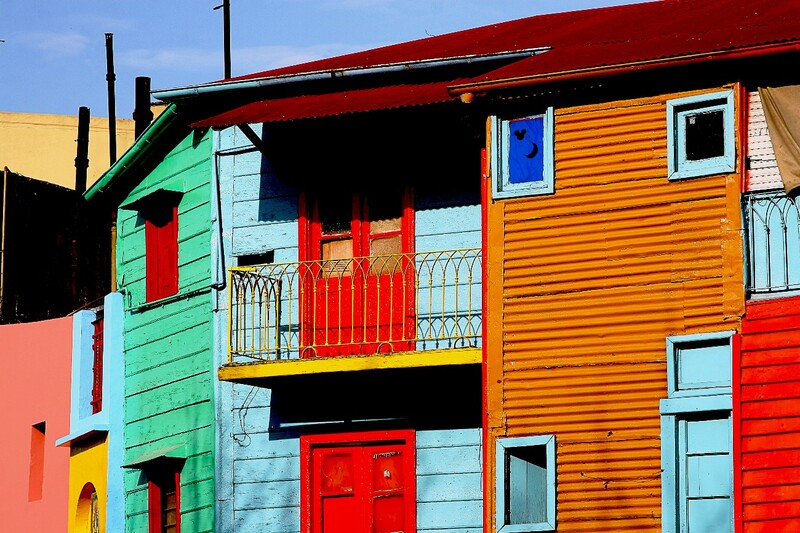 In the afternoon you will visit La Boca (Caminito, Boca’s Stadium and Museum) and Barracas – and listen to stories of murder in Argentina. Afterwards, the famous tango tour that includes the house of Carlos Gardel, a typical 5 o’clock tea followed by tango lessons. Dinner will take place at one of the famous Puerto Madero restaurants. 10/15/09 – Thursday: Morning: Romeo & Juliet in Buenos Aires. Afterwards a visit to the Malba Museum (a replica of the Guggenheim). Farewell 5 o’clock tea with wonderful biscuits and pastries. Back to the hotel to pack and relax and transportation to the airport. 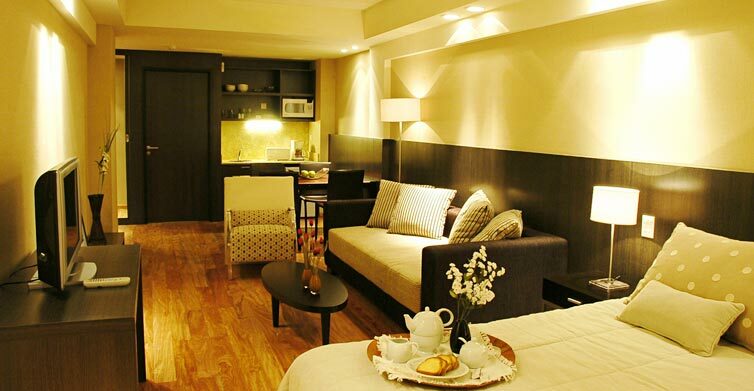 -The Hotel stay includes the room double occupancy rate and all of its services. 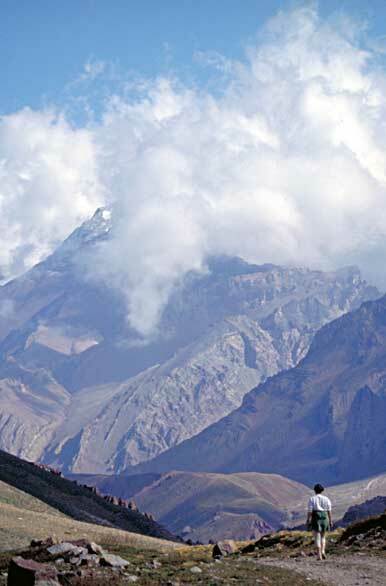 https://argen-travel.com/wp-content/uploads/2009/06/templo-libertad.jpg 599 398 Argen Travel https://argen-travel.com/wp-content/uploads/2015/07/argentourism-logo.png Argen Travel2009-07-01 09:40:472017-11-10 23:21:01Jewish Argentina - Special Singles 35+ 10/8/09 Departure! 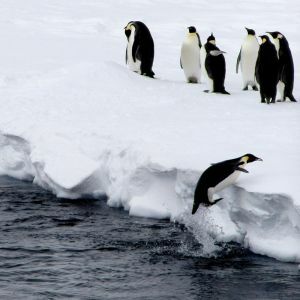 Last chance to travel to Antarctica! Interested in 10/8 trip. Please provide telephone number for more information. Your post is interesting and informative – are you planning to write more about it in future? Hey, I love this trip and it works perfect with my 10/8 flight, only its a bit to rich for me at $1,740. Do you all plan other trips that are scaled down some in order that they are more affordable? Also, it says these rates are based on double occupancy, yet we are all supposed to be singles. I don’t get that part. Are most of the people bringing friends along or going as groups? I am going alone, looking for a Jewish group to spend time with. My trip runs from 10/8 through 10/25. Please send me more information. I don’t have any food leads in Argentina. But my son, who recently fsnhiied a social studies unit on Argentina at school, has informed me that the beef is especially good there because cattle graze on the nutrient-rich “pampas.” He followed this statement with a bout of giggling. Maybe it’s because pampas is what many of our fellow New Englanders call baby diapers. Anyhow, I know you may be sick of hearing about another blog inspired by your book, but what the heck, here goes anyway: artsurprise. My blog is about art, not food. But I do include a plug for your book, just in case sales are slowing down…Can’t wait for your next one.